LONDON • Ole Gunnar Solskjaer believes that Manchester United supporters will finally see the best of Alexis Sanchez because of the freedom that he has given his players since the sacking of Jose Mourinho. The United interim manager confirmed that the forward, who has not played since injuring a hamstring in November, is in line to make his first appearance in today's Premier League trip to Newcastle. 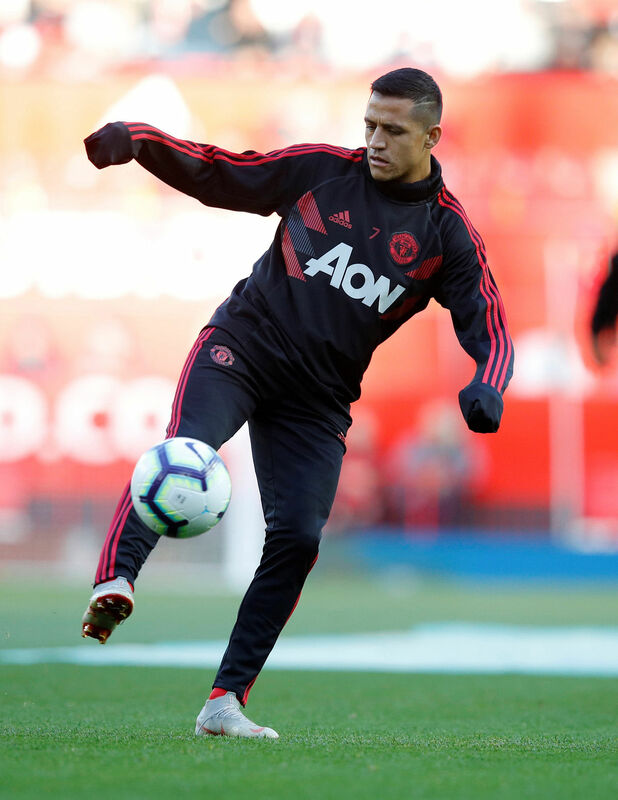 Sanchez has been determined to make a mark under the new manager and it was reported that he urged Solskjaer to pick him for the 4-1 win over Bournemouth on Sunday, even though the club's medical staff had not cleared him for a return to action. "He's had some great training sessions the last few days," the Norwegian said. "He wanted to (play against Bournemouth) but we have to manage him, he's been out for a month. But he'll be involved against Newcastle. "He wants to play all the time, he's one of those characters. He made himself available but it was a few days too early for him. He has not had enough fitness but he's looking forward to it." Sanchez has had a miserable time during his first 12 months at the club. The former Arsenal striker, who earns in excess of £350,000 (S$607,000) per week, has scored only one goal in 10 league games this season. The 30-year-old became so disheartened with life under the defensive-minded Mourinho that he was considering leaving for Paris Saint-Germain this month, but Solskjaer's arrival has given everyone at United a clean slate. Paul Pogba has benefited from the attacking philosophy that Solskjaer has installed by scoring four goals in his last two games, and the hope among the club's hierarchy is that Sanchez will also enjoy a renaissance. "He's a player that would benefit from the interchanging, the rotation, the movement," Solskjaer added. "The more times you get the ball into the final third, the more chances you create, and he'll be an asset." Given that United have scored 12 goals in three wins in Solskjaer's first three games, it seems unlikely that Sanchez will walk straight back into the side. He is more likely to start on the bench, with Anthony Martial and Jesse Lingard continuing to support Marcus Rashford in attack. Sanchez will also face competition from Romelu Lukaku. The Belgian, who scored only six goals in 16 league games under Mourinho, netted within two minutes after coming on as a substitute against Bournemouth on Sunday. Praised for his attacking philosophy so far, former United striker Solskjaer insisted he is only implementing what he learnt for 11 seasons as a player under Alex Ferguson at Old Trafford. The 77-year-old Scot paid a visit to the players and coaching staff, which includes one of his former assistants Mike Phelan, at United's Carrington training ground on Saturday. ''He enjoyed his time at the training ground, we had a nice few chats and he encouraged us,'' Solskjaer said. Premier League games out of 99 in January that Manchester United have won - 15 more than any other team have managed. Singtel TV Ch102 & StarHub Ch227, tomorrow, 4am.